It’s been a few weeks since our last major update – it’s a busy time, because we’ve been working hard on Indivisible’s first Backer Preview Build. Since we were in pre-production for all of last year, the Backer Preview is more than just something for our Backers to play and give feedback on. It’s also an internal test for the team to extensively test the tools, verify that our production pipeline works as intended, and try to iron out any inefficiencies or problems we find along the way. When we’re ready to release this, everyone who contributed $30 or more will receive the code via BackerKit. So if you haven’t filled out your BackerKit survey yet, do that! We’ll have more information on the Backer Preview’s release date soon, but here’s some of what you can expect to see in it when it hits. 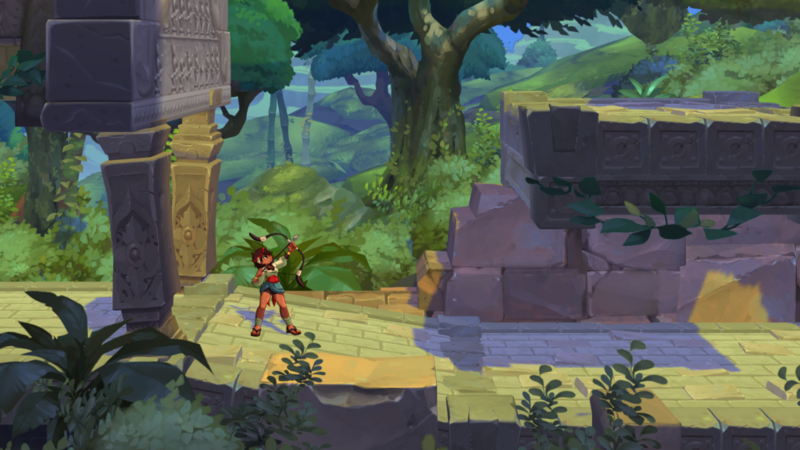 The Backer Preview will take place in a section of Forests of Ashwat, the area just outside of Ajna’s home town. The area in the Backer Preview will be built around the first area of the game, but remixed and with some extra goodies hidden about for good measure. 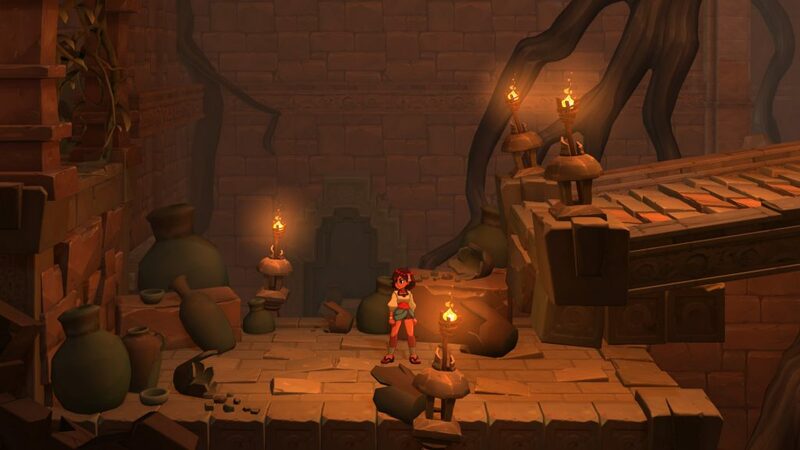 Take a look at some of the new environments! Please note that these environments, as improved as we think they are, are still a work-in-progress and will be receiving additional polish before the game’s final release. As you explore the forest, you’ll find some new friends to add to your party: Dhar, Ginseng and Honey, and Qadira! Don’t worry, though – your old friends Razmi, Tungar and Zebei can also be found. This time around, instead of unlocking them as you level up, you’ll find them milling about. As a temporary solution for the Backer Preview, simply touching them will add them to your party. And because you can have more than four total characters, you can even customize your party! 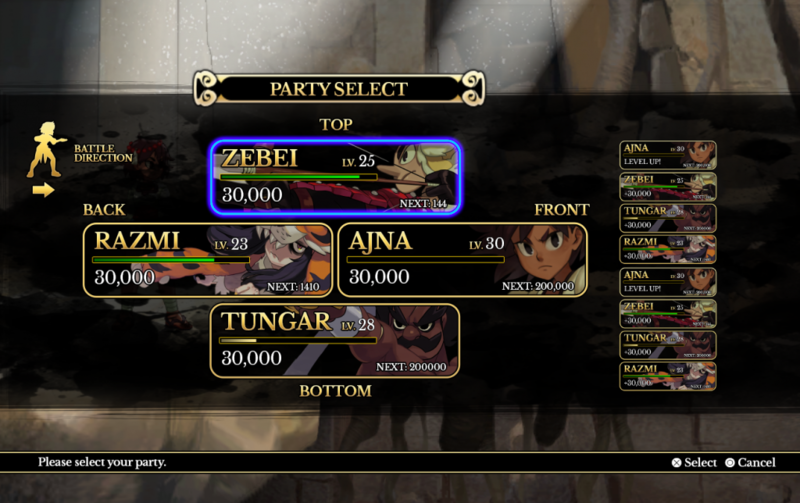 Please note that this party selection UI is completely temporary and made mostly from reused assets, and will be replaced with something far snazzier in the final game. The Forests of Ashwat have become home to a few new monsters – three new ones, in fact! Some of these won’t be roaming this area in the final game, but we wanted to give you more things to fight and give feedback on. All of the monsters from the prototype will be making a return, as well. And to keep you on your toes, they’ve all got new attacks! These aren’t the only changes we have planned for battle, but we wanted to start collecting feedback on these sooner than later to guide our future efforts. Perhaps the biggest change coming to battle is an updated UI. The primary focus of this updated UI is to communicate how many actions each character has without needing to look away from the character. Each “pip” represents one action and follows the character, making it easier to plan your attacks! 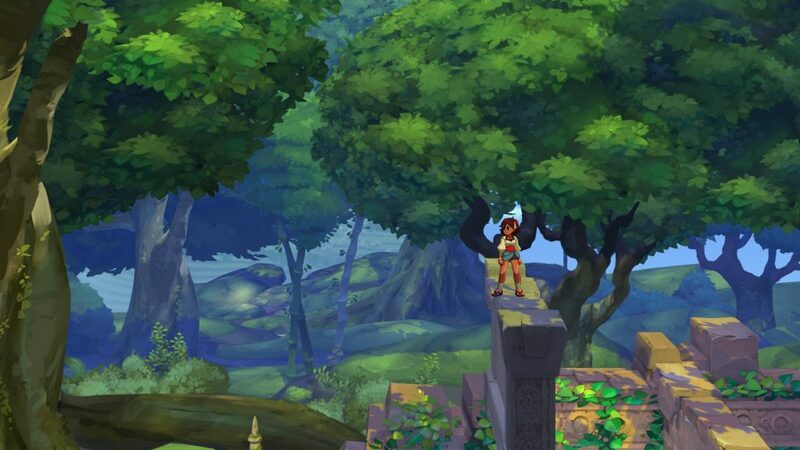 Indivisible has a lot of abilities to help Ajna explore her world. We realized during internal playtesting that navigating them all can be a bit cumbersome, especially when trying to chain them together to make it to hard-to-reach areas. To alleviate this, we’re working on a new, simplified control scheme that doesn’t require the player to switch weapons and ability sets on the fly. What you play in the Backer Preview likely won’t be the final implementation, but we’ll be paying close attention to your impressions as we continue to refine the controls. 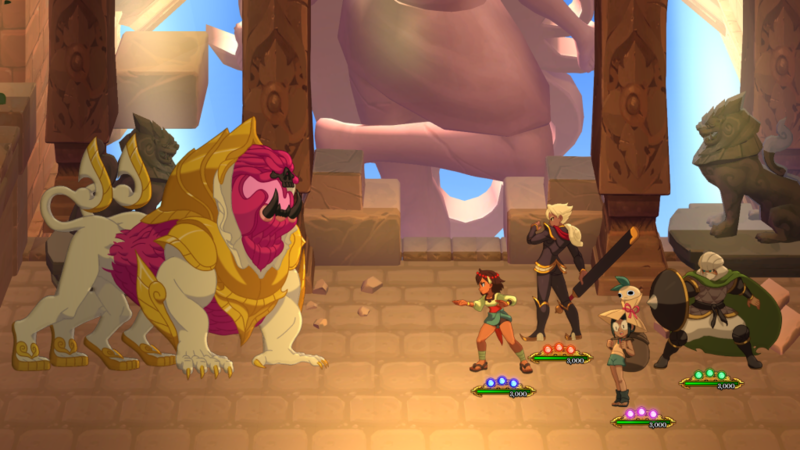 In the Backer Preview, Ajna will be able to unlock the Bow and use some of its abilities to find hidden treasures! The engine running Indivisible has been hugely upgraded in a variety of ways. Most notably, the game now supports robust real-time lighting and shadows, allowing us to make more atmospheric locations than ever before. We’ve revealed the Forests of Ashwat exploration and battle themes, which you’ll hear in the Backer Preview, as well at least one other all-new track. With the Full VO Stretch Goal reached, we’ve begun auditions for the characters in the Backer Preview and will begin recording Battle VO in mid-May! We’ll be there with a camera to give you a behind-the-scenes look at the voice recording process, too! Finally, we’ll have new Backer Preview speedrun contests, giving you a chance at a free upgrade to the $500 Patron tier, netting you the following goodies! And there you have it – the Backer Preview! We’ll let you know more details about the release as things get closer.